You’re Thinking About Earning RMR from Service Plans. Now What? In CE Pro’s latest webinar learn how to specify, setup and install BluOS-based wireless and wired whole-house audio systems from Lenbrook and its brands that include Bluesound, NAD and its partners such as DALI Loudspeakers. 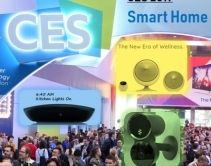 CES 2019 Smart Home Finds: A new Rachio competitor, an AI-driven camera "police have been asking for," IAQ and lighting solutions for wellness, and a self-learning home automation systems that hit every buzzword in the IoT playbook. Hold this date: Oct. 10, 2018. 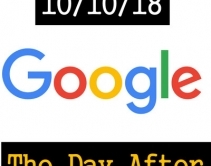 You won’t want to miss a one-on-one conversation with CE Pro founding editor Julie Jacobson and Google exec Michele Turner … one day after the companies make their big Fall 2018 new-product announcements. 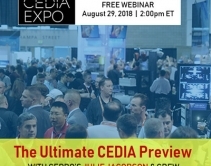 CE Pro’s most popular webinar of the year returns with Julie Jacobson and guests highlighting the important new trends, products, technologies and happenings in A/V, home automation and the smart-home channel . In this free webinar – part 2 of a three-part series on fiber connectivity for AV projects presented by Commercial Integrator and CE Pro – attendees will walk away with an understanding of why fiber is a better choice than category cable in most residential AV projects. Join CE Pro and SureCall Electronics to see the impact 5G could have on your business. You'll learn how to identify the best candidates for cellphone signal boosters, best practices for installing them and so much more. 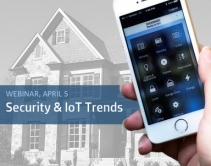 APRIL 5, 2018, 2PM ET: This one-hour Webinar looks at new trends in security and home automation, including emerging technologies, competitive landscape, DIY developments, and new business models. PLUS: preview of new products and themes for ISC 2018. Free webcast argues that in most cases copper cabling is insufficient and fiber cabling delivers more reliable, forward-compatible results for AV systems. 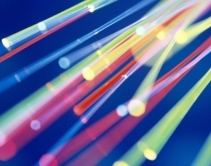 Experts tackle outdated misconceptions of fiber challenges.